Remember the days when you would be greeted at a wedding with a guest book for you to sign and pass on your best wishes? Well, those days have come and gone! Couples are now coming up with super-creative ways to have to their guests sign as witnesses to their big day and are creating something that can be used again and again and be part of their everyday life, and not just sit on a bookshelf. Here are some fun ways that the couples we have worked with in the past have created something for their guests to sign for their special day. Enjoy! 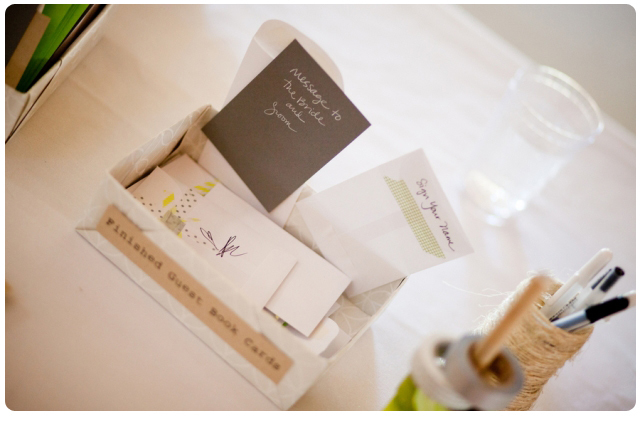 This is a cute way for guests to pass on some friendly advice to the couple. How fun would these cards be to read on your first year anniversary? 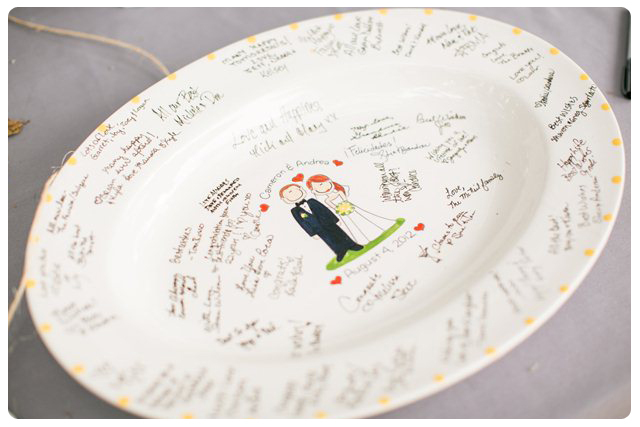 Have your guests sign a plate that you can use again and again at family functions. This is one of our favorites. 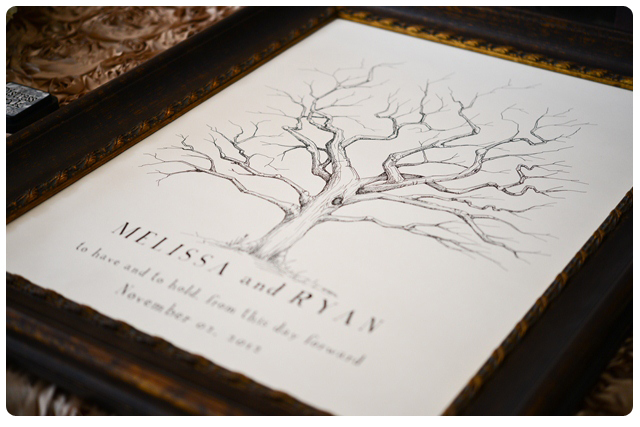 Have your guests place their thumbprint on a tree, using different colored ink and have them sign their name below. The perfect keepsake. 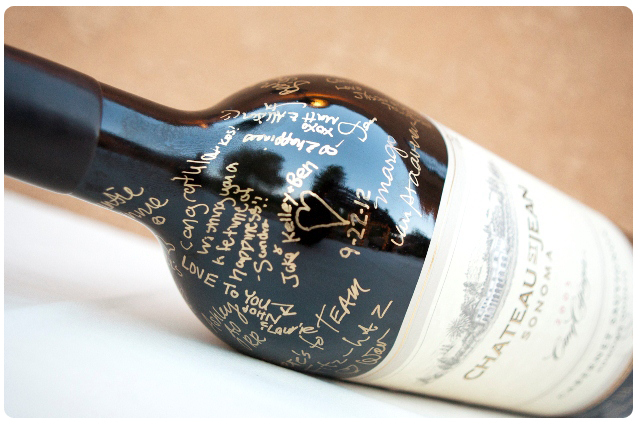 If you are getting married at a winery (and there are plenty to choose from in our area) have your guests sign their name on your favorite bottle of wine. You can then drink it on your first year anniversary! Looking for a winery location for your wedding? Give us a call. Sealed with a kiss. 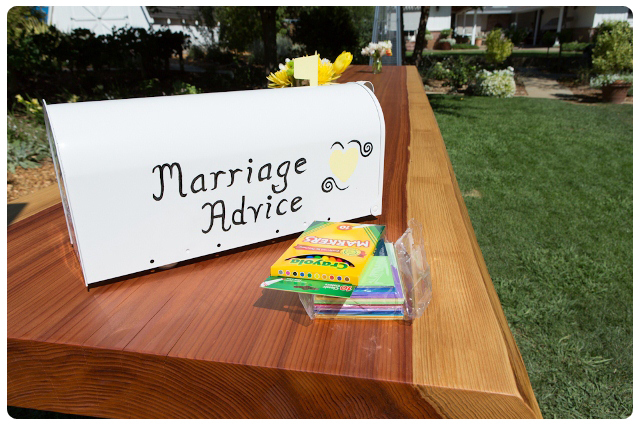 This is a fun way for your guests to pass on their marriage advice and write a personalized message. And what better way to store them in than this mailbox?